ITW Electronic Business Asia Co., Ltd. - ITW Electronic Business Asia - a premier fastener manufacturer and developer, with vast resources and knowledge in material and process technologies, offering a wide range of products for a variety of applications and industries. Welcome to ITW Electronic Business Asia Co., Ltd.
ITW Electronic Business Asia Co., Limited is one of the divisions of Illinois Tool Works Inc. (ITW), a global, Fortune 200, highly engineered components and systems diversified manufacturing company. 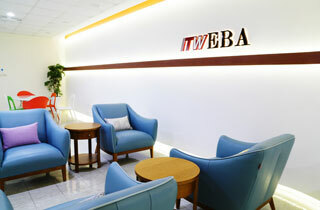 ITW EBA is a manufacturing and engineering function to support Asia customers and selling office of ITW brands of ITW Switches、ITW ERG、ITW Fastex、ITW ECPS、EBA Connector. These rugged electro touch switches are available in stainless steel or aluminum alloy housings to make the series EC ideal for many applications. This multi-option sealed pushbutton series offers the utmost in choices of mounting style, button colours, terminations, bezels, lighting and momentary or maintained switching. These rugged multi-option pushbutton series offers the utmost in choices of mounting styles, colors, terminations, lighting and momentary switching.